Prince Harry whispers to Meghan Markle as they watch a performance by a Welsh choir in the banqueting hall during a visit to Cardiff Castle on Jan. 18, 2018, in Cardiff, Wales. (CNN) - Prince Harry and Meghan Markle are asking people who wish to send them a wedding gift to consider donating to one of several selected charities instead, Kensington Palace announced Monday. The seven chosen charities "represent a range of issues that they are passionate about," the Palace said in a statement, including women's empowerment, HIV, homelessness and the environment. 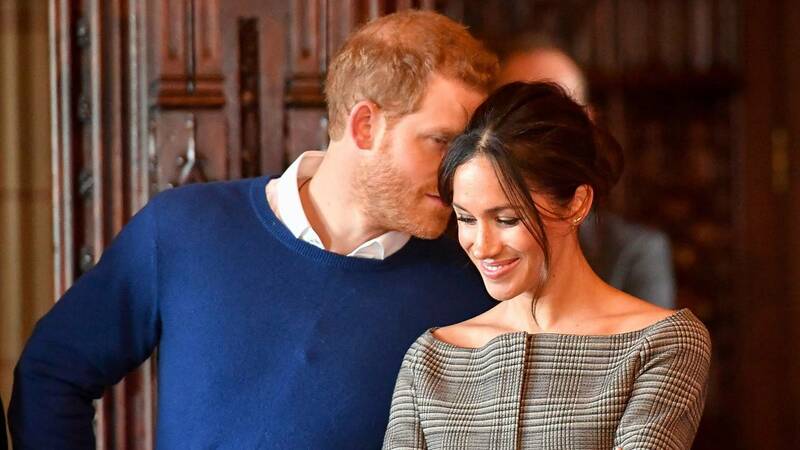 Amanda Williams, chair of the Children's HIV Association (CHIVA), which supports children with HIV across the UK and Ireland, said she was "delighted and honoured" that CHIVA had been chosen by the royal couple. The other organizations are homeless charity Crisis; the Myna Mahila Foundation, which works to empower women in Mumbai's urban slums and was visited by Markle last year; Scotty's Little Soldiers, a charity for bereaved Armed Forces children; StreetGames, which uses sport to empower young people; marine conservation charity Surfers Against Sewage; and The Wilderness Foundation UK, which promotes the benefits of wild nature. Jo Roberts, CEO of The Wilderness Foundation, said she was "touched" that Harry and Markle had chosen to support the charity. Prior to their wedding in 2011, Prince William and Kate Middleton also requested charity donations instead of wedding gifts. Members of the public could donate via a dedicated website and the beneficiaries included UK theater company Oily Cart and environmental charity Earthwatch.